Cosmetic & Restorative Dentistry Palm Beach Gardens, FL - Mark L. Civin D.D.S. Remember, beauty is in the eye of the beholder… and that’s you! Some people want their smile to look “perfect” — and to them, that means completely straight, uniformly white teeth. Others like a slightly more natural look, and are not displeased by slight gaps or shade variations. There are lots of decisions to make, but don’t worry — cosmetic dentists are skilled at helping you sort it all out! Share your thoughts. 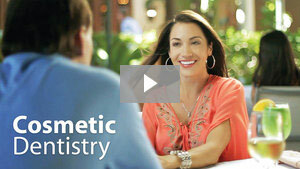 Communication is an extremely important part of the smile makeover process. At the first makeover consultation, it helps if you describe what you would like to change in as much detail as possible. Bring along pictures of smiles you like, or of how your own smile used to look. Your makeover dentist will have some thoughts to share with you as well because dentists are trained to look at smiles in terms of facial balance. In other words, a Palm Beach Gardens cosmetic dentist will look not only at how the elements of a smile (teeth, lips and gums) relate to each other, but also how they blend in with the face as a whole. Want more information about cosmetic dentistry? Call our Palm Beach Gardens, FL office at (561) 624-2224 today!